While being one of the most expensive agreements to buy, health insurance is also one of the most confusing things for most people. Your health plan is highly likely to cost you a lot if you don't understand the certain insurance terms and tricks. Studies have shown that many people in the United States do not understand (or poorly understand) most of the rules included in their medical insurance. It significantly impacts their ability to pay for health care. Even worse, it can lead to unnecessary penalties and fees. 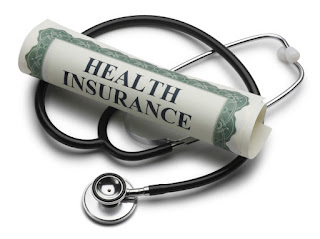 Here are 5 most common mistakes people make when choosing a health insurance plan. Make sure to check the medical plan’s list of medication if you're taking medication to see if it is covered or not. If it is not, try to find a reasonable alternative by consulting your doctor. It's also possible to find it out online, as the majority of plan’s medication lists are posted on their official websites. But beware, though. Those lists could be incomplete. When picking a health plan, most people only take into consideration the cost of the monthly bill. In fact, this cost presents a premium, which is not the only cost when needing medical care. Bear in mind that there will also be other costs once you face that deductible. For example, you may meet co-pays for lab tests or doctor visits, as well as co-insurance that includes the out-of-pocket cost of health care. Try to find out whether your doctor is included in your plan’s network or not. That has a great impact on your wallet since a doctor who doesn't participate with your plan’s network is pretty costly in most cases. To avoid additional expenses, always check network status of your doctor before choosing him. It could be a daunting task to find 'in-network doctor' today, but it's worth effort. Once they get an insurance coverage, most people presume they are ready to go for any health care. However, they don't know that each health plan has the particular limits on the offered services. So, what to do? You are advised to check if the medical care is covered by your insurance plan before making an appointment with a doctor. In addition, you should clarify what costs are going to be paid through your insurance. You can either contact your insurer or read your policy to check your insurance coverage. You will be provided with an explanation of benefits (EOB) after your doctor’s visit. It shows a variety of important info, such as the cost of your doctor's visit, the services you got, and money your insurer paid. Do not rush with payment when you receive a bill from your doctor. It's much smarter to hold it off until you get your EOB. This way you will cut down on your bill and check if your insurer paid the portion he is responsible for. Go shopping for health insurance with these five things on your mind. That will help you avoid costly mistakes and select the insurance plan that best meets your needs. Check out Health Plus Insurance and find the best deal for you!